From "Grumpy Old Men" to "A River Runs Through It," Hollywood is full of male-only fishing stereotypes that show men leaving wives and girlfriends at home (probably to braid their hair or clean the house) to partake in the manly pastime. But in recent years, the number of fishing licenses sold to females has steadily risen, showing an increased interest in the sport—and for good reason. 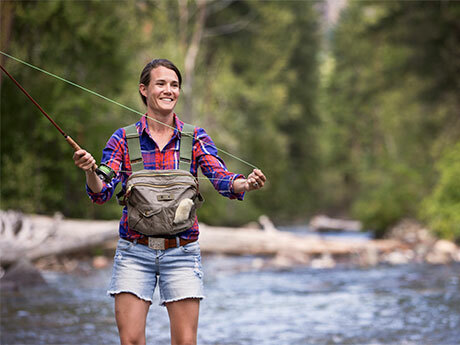 While the sport of fishing has numerous health benefits, we found even more reasons women should cast their first line.